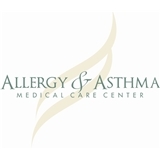 Allergy & Asthma Medical Care Center (Brooklyn) - Book Appointment Online! Our practice philosophy is to provide comprehensive, cutting-edge allergy and asthma medical care for both adults and children. Both of our physicians are board certified in Allergy, Asthma and Immunology and are able to provide the highest level of expertise and care available. We also strive to ensure maximal patient comfort and we have created an office environment with this goal in mind. Our practice focuses on a wide variety of allergy, asthma and immunology-related conditions: common food allergies, seasonal or year-round aero-allergies, eczema, chronic sinus conditions, and drug allergies. We also have a great deal of experience treating unusual conditions such as autoimmune rashes and eosinophilic esophagitis. We utilize state of the art diagnostic tools and treatments. We are passionate about continuing medical education and our affiliation with the SUNY-Downstate Allergy and Immunology fellowship training program allows us to remain abreast of the latest guidelines in the field of Allergy, Asthma and Immunology. Working closely with primary care physicians, and other specialists in ENT, dermatology, and pulmonology, we provide a comprehensive, evidence-based treatment plan for all of our patients. We have a modern, state of the art office designed with the patient's comfort in mind. Along with being spacious and welcoming, our reception area also features interactive entertainment and access to Wi-Fi. Our office is conveniently located in close proximity to major freeways, with easy access to public transportation as well. Premier patient care is our goal and our wonderful staff is eager to service the needs of our patients. We work closely with our patients whether it relates to navigating the complex world of insurance coverage issues, or whether it pertains to educating them about their diagnosis and the management of their particular condition. We offer convenient office hours-including evenings-and we participate with most insurance plans. All of our patients, whether existing or new, have direct access to our physicians during off hours. We look forward to working with our patients and their medical providers to ensure a pleasant, expeditious, and beneficial medical care experience. Wonderful, knowledgeable, and friendly Doctor. Front desk staff also extremely professional and kind. Excellent doctor and staff. Exhaustive in his approach, friendly and helpful in his manner. Highly recommend.